Hey potters, sculptors, ceramic artists, clay people. 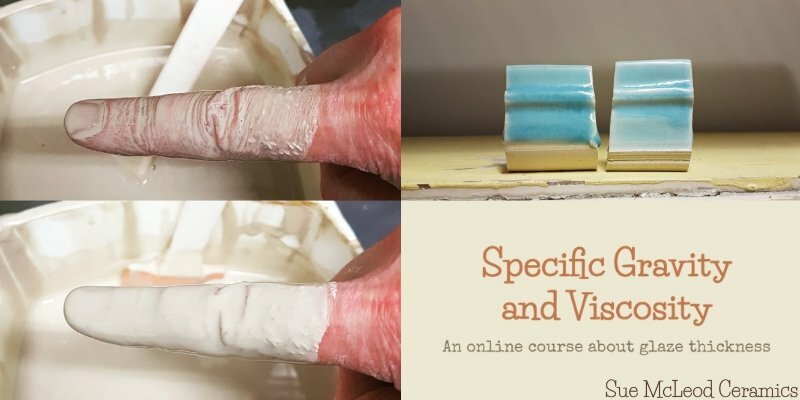 I’m creating an online course about glaze thickness. Sounds super interesting, eh? To use more specific terms, it’s a course to guide you through the process of measuring and adjusting the specific gravity and viscosity of your glazes. Still not as excited as I am? 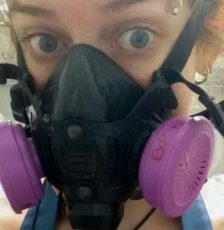 I’ve been a ceramics studio technician in a community studio for 4 years now. It’s been my job to mix and maintain the glazes of the studio. Our studio has up to 200 users at any given time. We offer a lot of beginner classes and it’s very common for beginners to hold their pieces in the glaze for longer than what might be ideal. I’ve been there, you’ve been there, we’ve all been there. 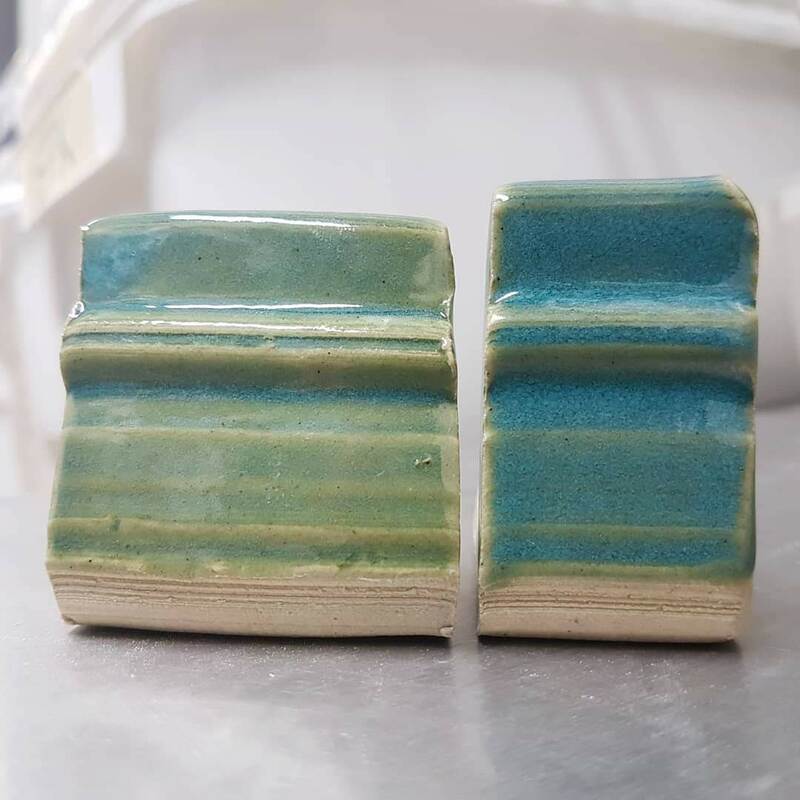 A few layers of thick glaze becomes a puddle on the kiln shelf. Nothing our sturdy kiln washed cookies can’t handle, but a disappointment for the new maker. 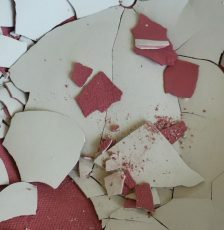 When I first started at the job and witnessed the running glazes (and scraped the kiln shelves) I thought it would be a good idea to raise the bisque temp from cone 06 to cone 04. My logic: This would create bisqueware that is less porous and less absorbent = thinner glaze layers. Reasonable, yes? This didn’t exactly help. Since the glazing practices weren’t changing, the less absorbent bisque actually led to worse results. 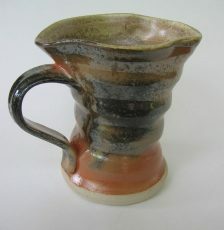 The bisque becomes saturated with water faster, which leads to glazes that take forever to dry. 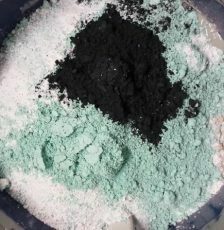 Then the wet glaze is dunked in another glaze and people are upset because there’s red iron oxide in the clear. Bisque temp went back to cone 06. 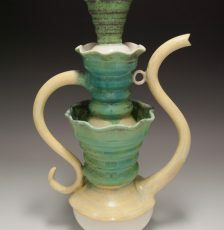 What I needed to do was adjust the glazes themselves. I had heard of measuring specific gravity in the past and was trying to do it with a hydrometer for a while, but the results didn’t make any sense. 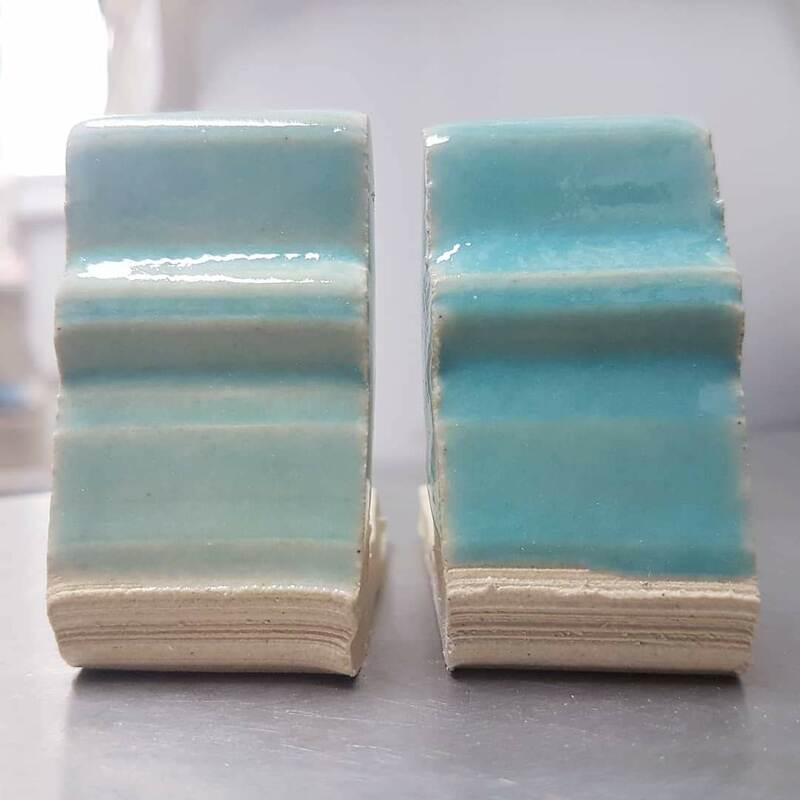 Some glazes were thin when moving, but thick when still. The reading was different every time. Finally one day, I decided to try what I had read on the internet somewhere. Weigh a volume of glaze and divide the grams by the millilitres. 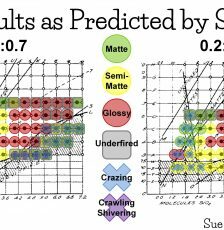 This gives you your Specific Gravity in g/mL. Then you can adjust, according to which number you are going for. Add water to bring the number down, remove water (trickier) to bring the number up. This made a huge difference! I realized that most of our glazes needed a LOT more water. I had to add water way past the point of too thin. Then I flocculated them with Epsom salts, which is like a magic glaze thickener. Smoother application, thinner layers, way less grinding of kiln shelves, and most importantly, happy potters! 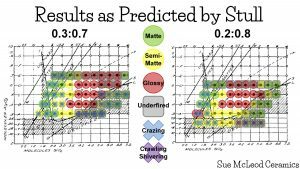 Bonus result: Measuring SG really takes the guesswork and subjectivity out of the process. Since there are 4 technicians managing the glazes at my studio, we don’t have to make judgement calls on how much water to add to each glaze. We just have to measure. If someone says “I think the white is too thick,” we measure it and the numbers tell us what to do. Each glaze has a target SG range and we have a monthly practice of checking and adjusting all the glazes, keeping them consistent. It’s a great system. 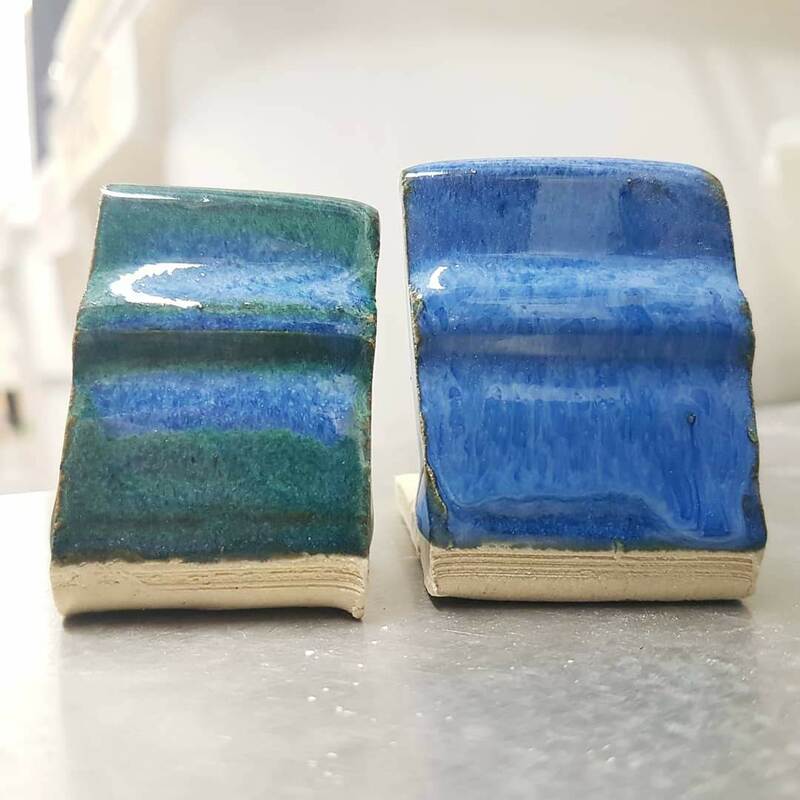 Since measuring specific gravity and viscosity of my glazes has worked so well for me, I want to share the process with you. I’m creating an online course that’s set to open in the beginning of March. I’m elbows deep in recording the course right now. I’ve done dozens of experiments and have filmed all of them so you can see exactly how the process works. I can’t wait to show you! If you’re interested in learning more about this class, you can join my email list here. You’ll be first to know when it’s ready!